The Auto Marketing Blog: Who Will Exploit 9/11 for Their Own Brand Benefit? Who Will Exploit 9/11 for Their Own Brand Benefit? 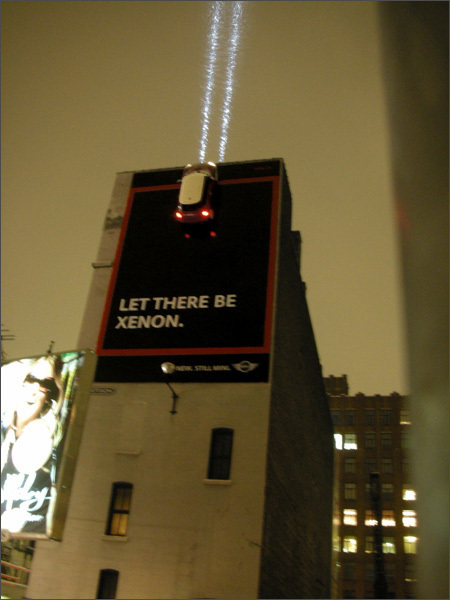 Found this out-of-home ad from MINI. Not sure when this ad was live, but It's interesting as the 10th Anniversary of September 11th gets closer will any automakers use it as a way to promote their products or link their brand to the event. Please share any 9/11 automaker marketing efforts you see. I think it could be tastefully done to honor the day and promote your brand. Good to know about your information and i think it could be tastefully done to honor the day and promote your brand. If it's all about the brand and not about remembering the day, then we have a problem.